Learn how to put out fires faster than ever! 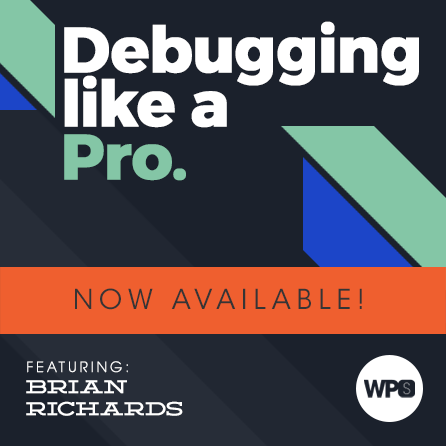 Get some real world, battle-tested debugging advice from the founder of WPSessions himself, Brian Richards. Learn some of his most trusted and used tricks for finding and eliminating tricky development bugs. Web development is an expensive process. One of the most costly aspects of building and running websites is finding and handling bugs. It’s expensive to site owners because it costs them uptime, credibility, and revenue. It’s expensive to developers and agencies because its time that could better be spent solving new and more interesting problems. Nobody enjoys being halted by a bug. Not even people (like me) who enjoy solving puzzles and fixing things. In this talk we’ll review several options and opportunities that exist to make our debugging process faster and more effective. Specifically, we’ll look at several tools and how to use them along with several valuable debugging techniques that help us put out fires faster than ever. Everyone, regardless of skill level, should walk away from this talk with at least one new thing to add to their debugging toolkit. Brian Richards, the creator of WPSessions.com, has been using WordPress since 2007 and training and leading development teams since 2011. In addition to investing his time into training, Brian has had the opportunity to work with many amazing WordPress agencies and experts over these last several years. This has allowed Brian to help develop sites for Microsoft, Disney, TIME, YMCA, and numerous others. Brian has an affinity for self-directed learning and helping others to develop skills and workflows to better solve important and complicated problems. He can’t resist helping good people do great things.